Vickers Star FM sports Manager. 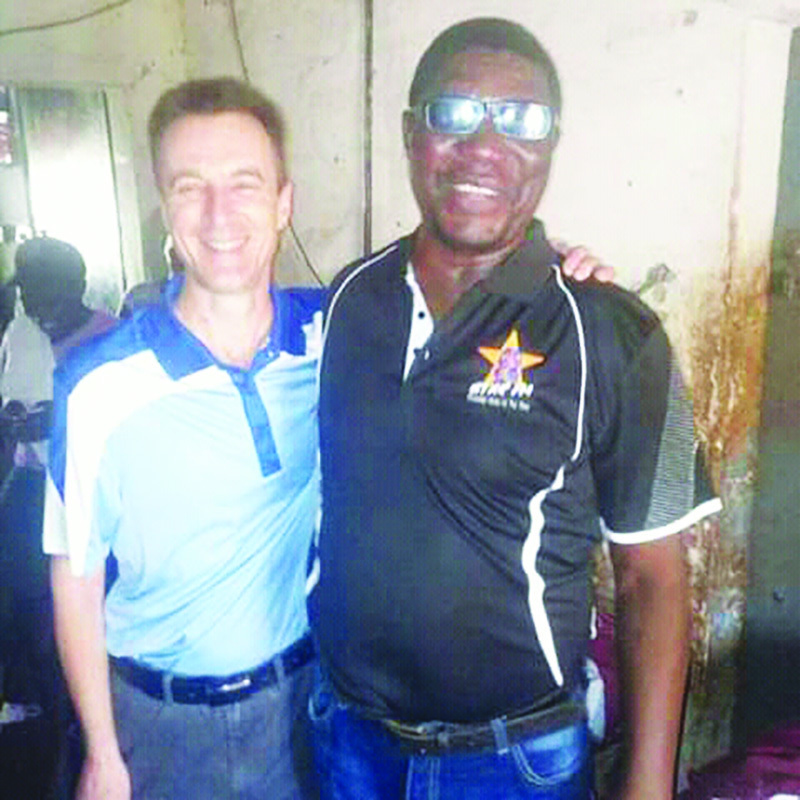 ZVISHAVANE – If there is any man who has proved disability to be just an illusion, it is Obert Sithole (51) of Zvishavane. 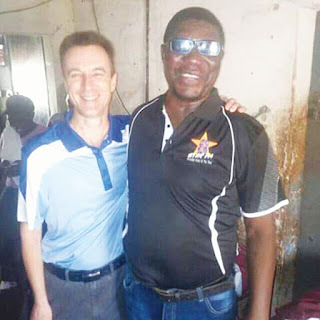 Sithole is a football correspondent with the leading radio station Star FM and he commands immense respect among his legion of followers in Zvishavane. Sithole is deployed in Zvishavane specifically to cover FC Platinum and Shabanie Mine FC. He is able to write match reports and his match reviews and analysis have astounded many. He also uploads his stories on Facebook. Sithole was not born blind. His sight was affected by a work related accident underground at 25 in 1992 when he was a Learner Miner at Shabanie Mine. He was affected by a mine blast. Sithole was also a footballer, playing for the mine’s football team. Being the extrovert that he is, Sithole joined Jairos Jiri after losing sight and trained as a switchboard operator. In 2011 when FC Platinum joined the Premier League, Simba Chiminya who then worked for ZBC as a reporter came to Zvishavane to report a game between Shabanie Mine and FC Platinum but unfortunately the match was postponed after Platinum lost its coach Benjamin Moyo while in camp in Shurugwi. That is how the doors opened for Sithole. Chiminya approached Sithole seeking an analysis of the two teams since the latter was born and grew up in Zvishavane and was once a player for one of the two teams. Chiminya was impressed by the analysis and promised to call Sithole from time to time for football updates. Chiminya said Sithole is great in football analysis, he knows much about the history between Shabanie and FC Platinum when asked for a comment by The Mirror. In 2013 Sithole was introduced to Vickers who gave him a try and in 2014 he was made Star FM sports Correspondent for Zvishavane covering mainly Shabanie Mine FC and FC Platinum. He has acquitted his duties well up to now. Sithole said he has a passion for football and he is happy that he is a correspondent for a leading radio station. “The loss of my eyesight was tragic. I however, have always been an ardent football fan and my eyesight did not go away with this pastime. I remained vocal on football issues and I think this is why some members of the public referred Chiminya to me for incisive analysis. The depth of my reviews is strengthened by the fact that I was a footballer myself,” said Sithole. Sithole usually attends football matches with his daughter Ashley who tells her father what is happening on the football pitch. Sithole was born at Shabanie Mine Hospital in Zvishavane on December 26 1967. He went to Shabanie Mine School in 1975 for his primary school and Mandava High for secondary education. He did temporary teaching before he joined Shabanie Mine to work as a learner miner. Weston Wesley one of Shabanie mine’s long serving supporters described Sithole as a deft footballer who banged in goals during his time. “Obert was a joy to watch but the mining disaster stopped his football career abruptly”, said Wesley. Sithole is married to Kudzai Nyoni and they have three children Ashley, Victoria and Samantha. Ashley said she was surprised that her father can comprehend football in such a manner, he can feel whether team A or B is winning. His wife Kudzai said her husband is blind but he likes football very much and hoped he will continue fulfilling his wishes.